Canning Town Area Guide - What makes Canning Town so great? Where do Canning Town locals go? Share your favourite place to go to in Canning Town. "At Trinity Buoy Wharf, you can see some of the most unusual accommodation in London, made from brightly coloured shipping containers!" Factory and warehouse conversions in the east end of London make characterful homes. The underground and DLR station is nearby. Also the entire Dockland area starts from here; Holiday Inn, Excel Centre, Cable car, City Airport all are nearby. Co-operative to McDonalds all are here. Canning Town has great transport links, it is on the Jubilee line and takes 2 minutes to get to the O2; 5 minutes to get to Canary Wharf and 20 minutes to Green Park in the West End. It also has DLR stations which makes it easy to get to City Airport, Bank and Tower Hill. There is a new DLR route that will connect Canning Town with Stratford City Westfield shopping centre, right next to the Olympic Park; and Stratford International Eurostar station, that will open in August 2011. There will even be a Crossrail Station in Custom House in 2018. 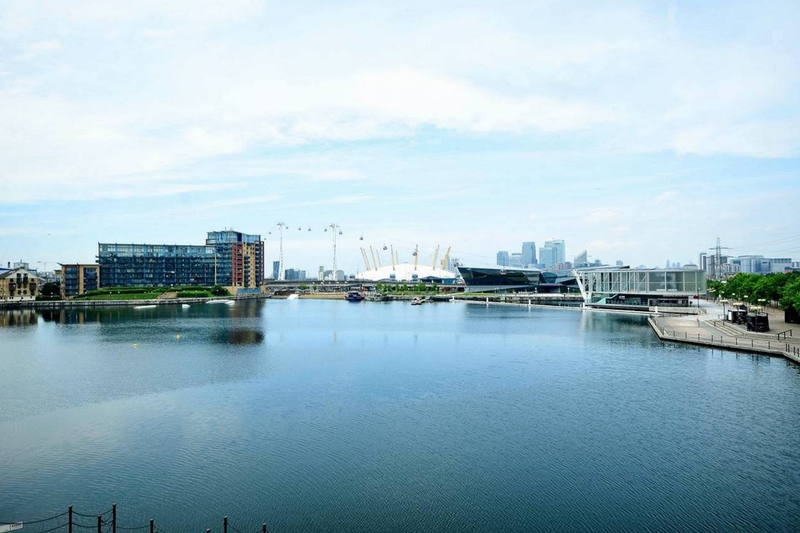 It is just a quick stroll down to the lovely and picturesque Royal Docks, where the Excel Centre is located, there are also some nice pubs, restaurants and wine bars, and is a lovely area to walk around. Some large areas of Canning Town are currently being regenerated. Over the next couple of years there will be a new town centre built opposite the station and new shops and a street market on Barking Road. The developments, which you can see as you wander around the town, will also include new housing; office space; retail, including a new Morrisons supermarket and leisure amenities. I have lived here for about 7 years and have seen the place improve dramatically, there is a diverse population and most people are very friendly. I can't wait for the new regeneration to be completed for it to become a really great area to live in. What do you think of Canning Town? Canning Town is an area of east London. It is part of the London Borough of Newham and is situated in the area of the former London docks on the north side of the River Thames. What are your favourite things about Canning Town? Find out how much your flat or house is worth om Canning Town. Feedback about living in Canning Town has been submitted directly by the public and may not neccessarily reflect the views of Foxtons. The description of Canning Town was modified from Wikipedia and is available under the Creative Commons licence. Land Registry data is Crown copyright. All the views and contributions contained within Foxtons Local Life are those of the contributors. All content is assessed before publishing for taste, however free opinion is encouraged. Foxtons accept no payment or sponsorship for content that is posted about Canning Town.